In this last part we look at bringing in BDD using SpecFlow. 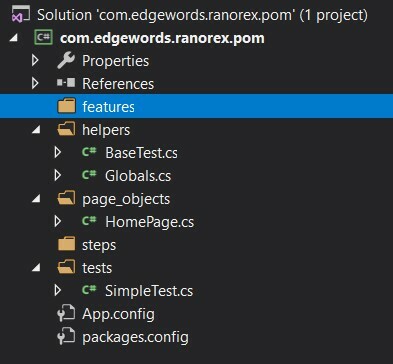 OK, now we have our own Ranorex POM framework sorted, lets extend this into BDD using SpecFlow. First let’s create a structure to store our classes & features, add the folders features and steps to our project. Select the default class name, and create the class under the steps folder you created earlier. Build the project and in the Test Explorer (Test->Windows->Test Explorer) you can see your Scenarios and run them! We can now execute our feature files from the command line using the nunit console runner. You can then use a results viewer like PicklesUI to convert the results to html, Word, Excel etc. You can now remove the Ranorex.Core.Resolver statement from the StartBrowser Method. 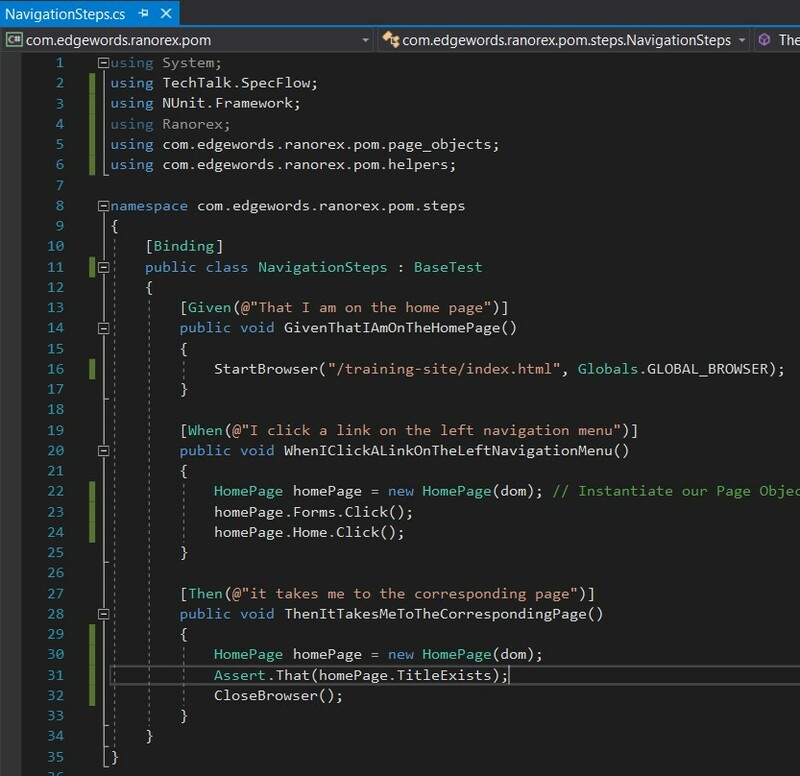 The [BeforeTestRun] Method will be invoked just once before any features get executed when you click the Run All.. in the Test Explorer. 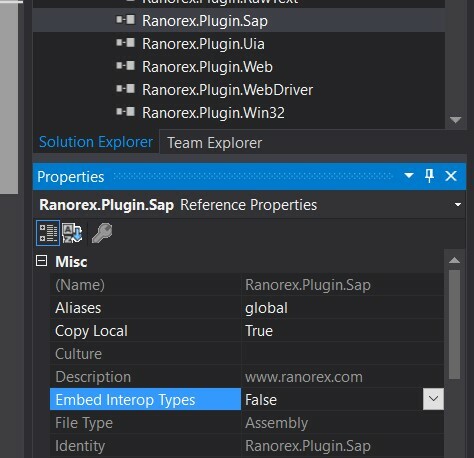 Then in your solution explorer, under references, find the reference that the error was about, and ensure that Copy Local is set to True. Do this for all the Ranorex references). If copy to local is set to false and greyed out (you cannot change it), then set its Embed Interop Types to False, then change the Copy Local to True. If you get any errors about mismatches with the target platform and the Ranorex dll references, you may need to set the VS project platform to x86. 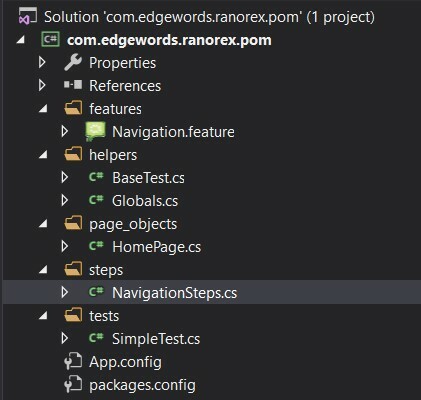 In Visual Studio menu choose Build->Configuration Manager then from the Active solution platform drop-down choose x86 and then rebuild your project and try again.